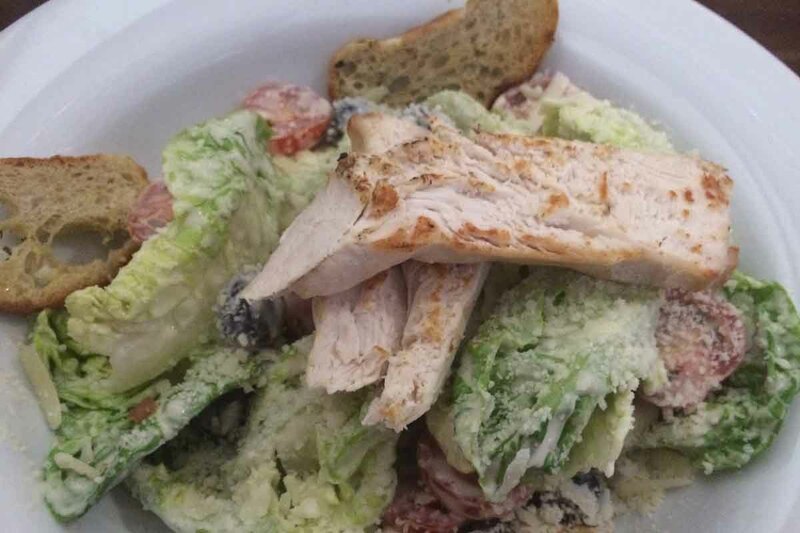 Grilled chicken Caesar salad served on a bed of lettuce with croutons, cherry tomatoes and black olives, smothered in creamy Caesar dressing and topped with aged Parmesan cheese. The salad was as delicious as it sounds and more! It was served with generous slices of chicken breast and three large, crunchy croutons. The large helping made the salad very filling and great value for money. The black olives were a lovely, fragrant addition to the salad, and something that is not traditionally served with a classic Caesar. A nice twist! We will definately be keen to visit Harlem Café again in the near future, and we’d love to try out their Titanic Night, which offers a 6 or 10 course meal showcasing dishes from the first class saloon of the world famous (or infamous) R.M.S Titanic. 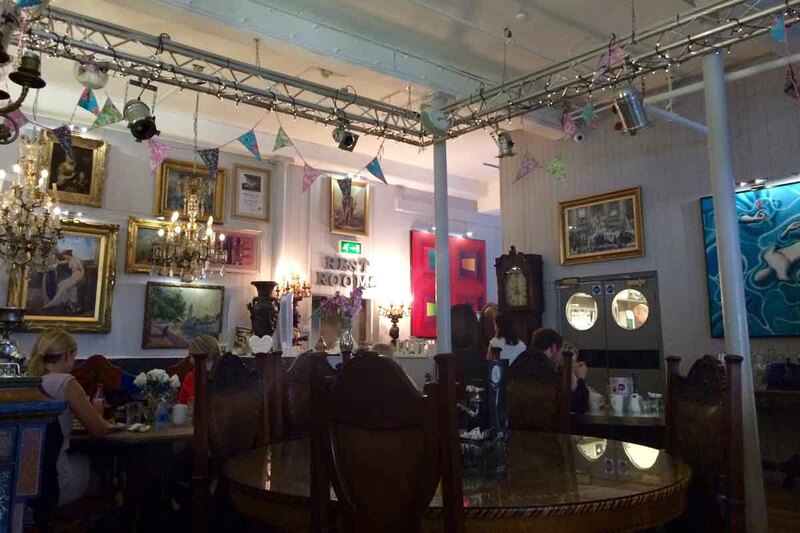 Harlem is a lovely spot and conveniently placed in Belfast City Centre. The decór is very inspiring as well – plenty to take in. We found the staff both helpful and friendly and nothing was a problem. 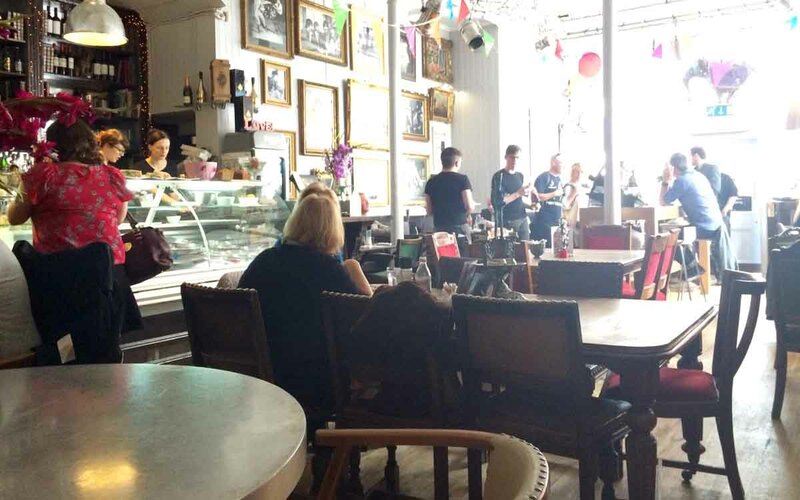 Have you visited Harlem Café at all in the past? We’d love to know what you thought of it so feel free to leave a comment below. Keep up to date with all our latest reviews, recipes and travels by connecting with us on Facebook, Twitter and Instagram.